ATHENS – On Saturday, Scioto County’s six schools with swim teams travelled to Athens to compete in the Southeast district sectional qualifiers in swimming. In the women’s competition, Northwest placed the highest in team score by earning 202 points which was good enough for seventh place out of 19 schools. Notre Dame finished in ninth place as a team with 158 points, Wheelersburg finished in eleventh place with 120 points, Portsmouth finished in thirteenth with 91 points, and Portsmouth West finished in nineteenth place with 32 points. In the men’s competition, it was Notre Dame who finished highest with 203 points, good enough for sixth place among 21 schools. In seventh as they were the women’s competition was Northwest who finished with 198 points, Portsmouth finished in eleventh with 134 points, Wheelersburg finished in twelfth with 127 points, Portsmouth West finished in sixteenth with 53 points, as well as Green who finished in twenty first with 22 points. Those who placed well enough individually and as a team in their various races will advance to the district swim meet this Thursday February 14th which is held on the campus of Ohio State University. To qualify as an individual or a four person event, you would have needed to place in the top thirty of those times in the combined times of the Central, East, and Southeast District sectional tournaments. In the girls 200 yard medley, the team of Reagan Lewis, Hanna Tackett, Jaclyn Burchett, and Madison Montavon of Northwest qualified for the district tournament with a time of 2:16.48. In the boys 200 yard medley, three teams from Scioto County qualified for the district meet: Notre Dame’s team of Fred Gillenwater, Simon Harting, Sam Mays, and Logan Emnett qualified with a time of 2:01.84, Northwest’s team of Evan Bowar, Orville Tacckett, Jeremiah Bruch, and Patrick Redoutey qualified with a time of 2:03.50, as well as Wheelersburg’s team of Drew Jackson, Joshua Boggs, Eli Bowen, and Eric Green with a time of 2:07.69. In the womens 200 yard freestyle, Northwest’s Hanna Tackett qualified for district’s with a time of 2:08.18. In the boys 200 yard freestyle, Northwest’s Jeremiah Bruch qualified for districts with a time of 2:06.68. In the boys 50 yard freestyle, Notre Dame’s Sam Mays and Portsmouth’s Stefan Johnson qualified for districts with a time of 23.33 seconds and 24.94 seconds respectively. In the boys 100 yard butterfly, Wheelersburg’s Eli Bowen qualified for districts with a time of 1:03.83. Notre Dame’s Sam Mays also qualified for districts in the boys 100 yard freestyle with a time of 51.19 seconds, fourth best among the three sectional meets that will be competing in Columbus Thursday. In the boys 200 yard freestyle relay, Notre Dame’s team of Logan Emnett, Carter Tarr, Fred Gillenwater, and Sam Mays qualified for districts with a time of 1:44.08. Portsmouth’s team of Stefan Johnson, Max Boensch, Donnie Lee, and Tyler McCoy also qualified for districts in this event with a time of 1:45.34. Northwest’s Hanna Tackett also qualified for districts in the womens 100 yard breaststroke with a time of 1:14.11. Northwest’s Orville Tackett and Portsmouth’s Bryce Wallace both qualified for districts in the boys 100 yard breaststroke with times of 1:14.03 and 1:16.92 respectively. In the girls 400 yard freestyle relay, both Northwest and Notre Dame’s teams were able to qualify for districts. Northwest’s Jaclyn Burchett, Madison Montavon, Regan Lewis, and Hanna Tackett qualified with a time of 4:27.63, and Notre Dame’s Courtney Blau, Millie West, Jaida Barbarits, and Hanna Fraley qualified with a time of 4:35.83. In the boys 400 yard freestyle relay, both Portsmouth and Notre Dame’s teams were able to qualify for districts. Portsmouth’s Stefan Johnson, Max Boensch, Donnie Lee, and Tyler McCoy qualified with a time of 4:07.07, and Notre Dame’s Xavier Sheppard, Carter Tarr, Austin Vaughters, and Logan Emnett qualified with a time of 4:07.88. 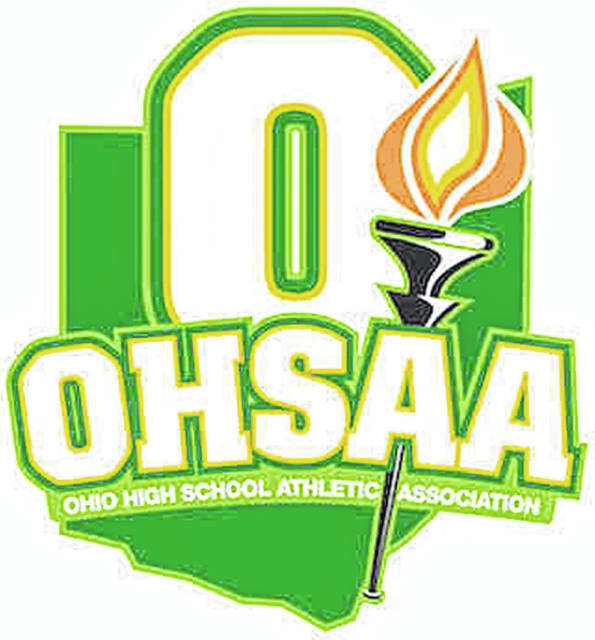 Congrats to those who qualified for districts, and good luck in representing Scioto County well in your respected competitions this Thursday.